· Extended configuration that significantly increases the intensity of the incident beam. 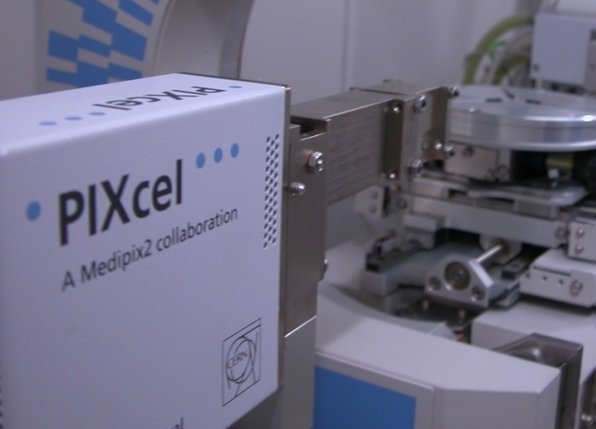 · Solid state PIXcel™ detector that significantly reduces measurement time. · In-Plane configuration for measurement of diffraction planes perpendicular to the surface. · A DHS 1100 Hot-Stage capable of heating small samples up to 1100°C in both air and non-ambient atmospheres. Reciprocal space map (RSM) showing the existence of a thin (approx. 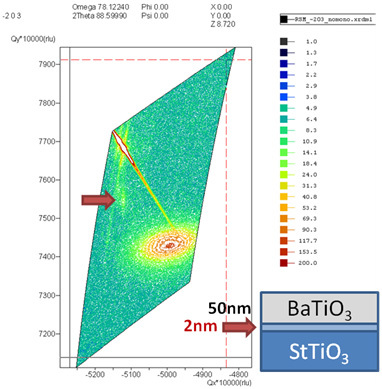 2nm thick) pseudomorphic alloy layer at the substrate interface. The Bartels monochromator was removed to increase the intensity for this measurement, generating the large streak through the substrate peak(s). Using the PIXcel detector, this image was collected in a couple of hours with excellent sensitivity and low background, allowing the weak alloy peak to be observed. 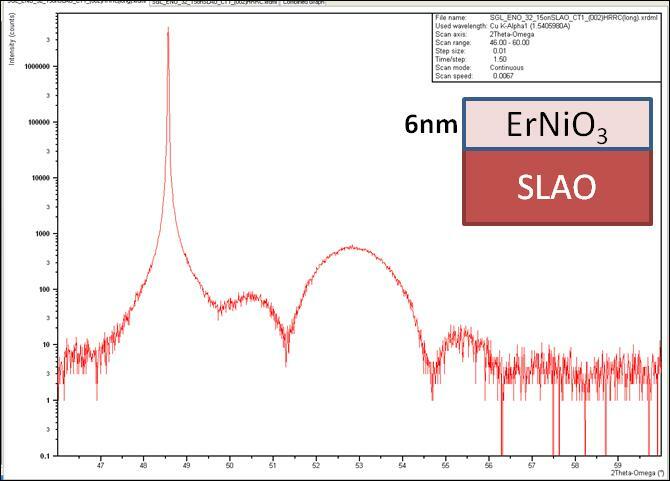 Rocking curve measurement from thin Erbium Nickelate layer showing clearly resolvable layer peak and thickness fringes due to excellent layer quality. The parabolic mirror was used in conjunction with triple axis geometry and the PIXcel detector to obtain monochromatic resolution but with dramatically increased intensity. Observing the thickness fringes would not be possible with conventional triple axis geometry.